There’s nothing more intimidating in the beginning, when you’re a new crocheter, than to have to substitute the yarn that’s required for the pattern. Maybe that specific brand of yarn doesn’t even exist in your country or it’s too expensive to order it from abroad. And what if the yarn has been discontinued by the company? Or maybe you’ve tried it before and you didn’t like the feel of it. 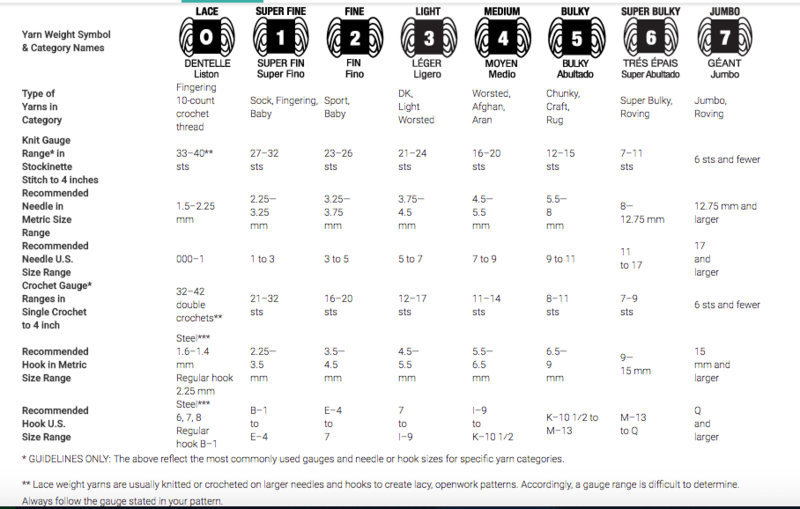 Here are the things you absolutely have to check before you decide what yarn you are going to use. It’ll only take a few minutes and the result will worth the trouble. First of all, check the gauge. If the project you are about to make is something people are going to wear, then gauge is really important and you must meet it exactly. For example, if the pattern says that the gauge is 15 stitches and 20 rows, you must find a yarn that states the same on the yarn label. For some projects, the designer states that the gauge is not important. Baskets and stuffed toys for example. Usually, this applies to items you don’t care whether they turn out a little bigger or smaller. That, however, doesn’t mean that you shouldn’t check anything and pick up any yarn that you like. If you make a basket that requires a chunky acrylic yarn with a sock yarn, things will not turn out, like you expected, at all. Even if gauge is unimportant try to find the closest alternative to have fewer surprises in the process. The needles or crochet hook that the designer stated as ideal for the pattern is just that. An ideal! Always check your gauge! You may have to go up or down a size to meet the gauge. We all have different hands and ways to crochet/knit. Things will turn out different. This is normal. 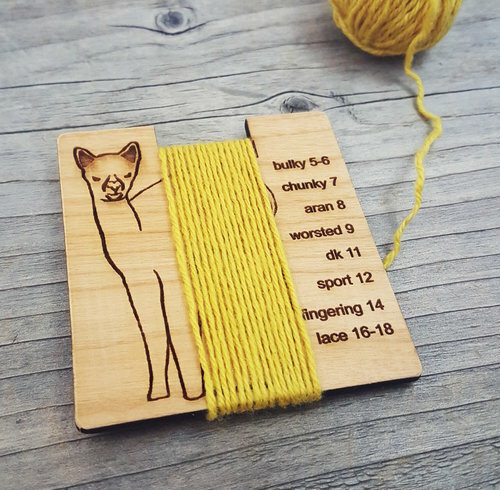 All yarns are categorized based on their weight, by their manufacturer. It’s a general metric we all use but not entirely accurate. It gives you though a very good sense of how thick the yarn is going to be. That information is not entirely accurate, as I said before because it is has been calculated by different manufacturers. So, what’s more accurate than weight? Wpi. That is wraps per inch which just means how many times the yarn can be wrapped around in one inch, and it is a more precise guide in choosing the yarn weight. Spinners, mostly use the wraps per inch measurement, but you never know when an information like this might come in handy. You can find this handy tool here. – Is the item going to be a garment? – Do I care how soft it is to the touch or against the skin? – Are there babies or people with allergies involved in the use of the product? – Does the pattern has a certain drape or is it sturdy? – Will it be subject to heavy use (rubbed against something) or is it decorative? Answering all the questions above will help you decide if the yarn you have in mind for your project can be substituted with a different fiber. 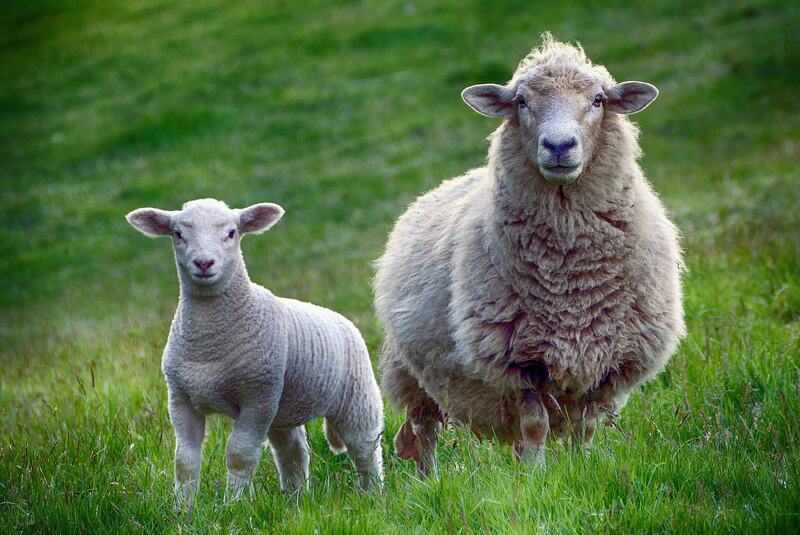 People with allergies or sensitive skin, tend to avoid wool. Products for babies have their own lines of -usually- acrylic and cotton yarns to meet the needs of their sensitive skin. Garments that touch your skin in sensitive parts like your neck may irritate it, even if you are not allergic, so take a good feel of the yarn you are going to choose. Acrylics are usually sturdier than a nice, soft wool and alpaca blend. Even if they have the same gauge and weight, it doesn’t mean they could be used for the same pattern. With the basket example again in mind, if you use the acrylic yarn your basket will be sturdy enough to hold things on the inside. If, however, you decided to use the soft wool-alpaca blend, your basket would turn out floppy and it probably couldn’t hold it’s own weight up. 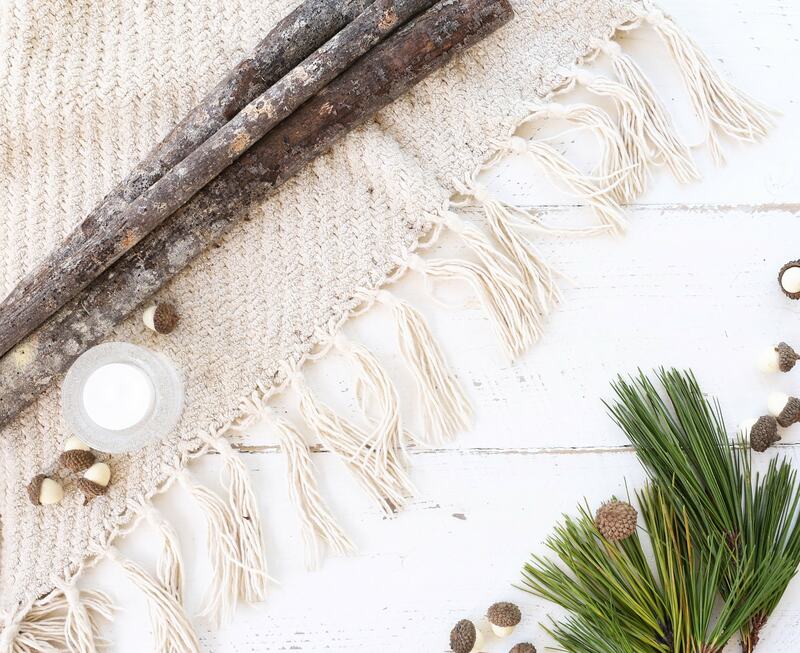 Cotton and generally plant fibers make great summer garments, jewelry, baby items and are strong enough for household use, such as washcloth and face scrubbies. They are usually very friendly to the skin and have little to no stretch. Mercerized cotton is the cotton that is treated and has a little shine to it. Usually a bit harsher on the skin, but makes great decorative items and jewelry. Acrylic can be used for baby items (specific brands), decorative items, blankets and even clothing and accessories. The great thing with acrylic is that it’s machine washable and they have some stretching. Wool/ alpaca/ angora and all animal fibers are usually warm and friendly to the skin -some more than others- and they are used for clothing and accessories and they also tend to stretch quite a bit. 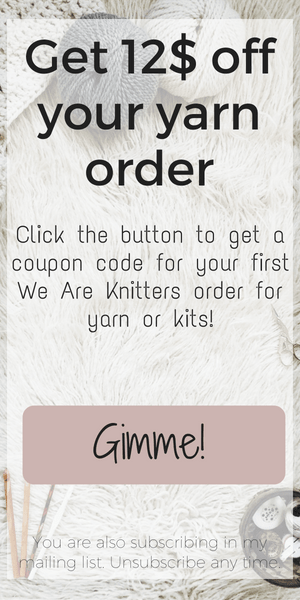 This is one of the things you should check just to be sure that you will have the right amount of yarn for the whole project and you won’t have to go to the store again to buy some more, or even worse to order it online and wait for it to arrive. Different brands won’t have the same amount of yardage in, let’s say, in 100g skeins. So don’t just calculate skeins, but take a good look at the total yardage of the project in meters or yards, and check how many skeins you are going to need for the substitute yarn. Be careful not to confuse yards and meters and use one metric system to calculate the right amount, the one you are most comfortable with. It is always recommended in patterns to make a swatch first before you begin crocheting or knitting, especially if you want your item to fit. I know that is the most boring part, for the majority of the makers out there. But it’s important! Actually, I would even say that is not a suggestion. It’s a mandatory thing you have to do and if you’re substituting the yarn, maybe do it twice. Except if you are one of those people that like to be almost done with something and then realize that it doesn’t fit, only to rip it all and do it again. No? I didn’t think so. And after all that being said, I discovered a very handy tool that is about to become your favorite. 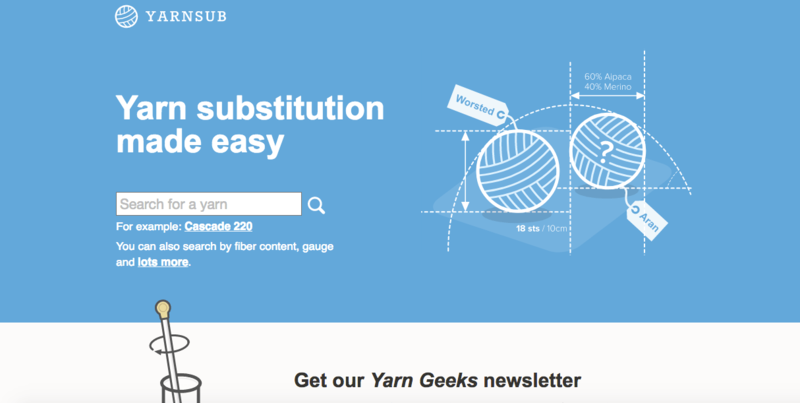 It’s called Yarnsub, and it can actually help you a lot in your online search for the right yarn. You can search for a brand of yarn and will list all the similar yarns that are out there. It will even tell you the percentage of a match between the yarns you chose. Isn’t that great? 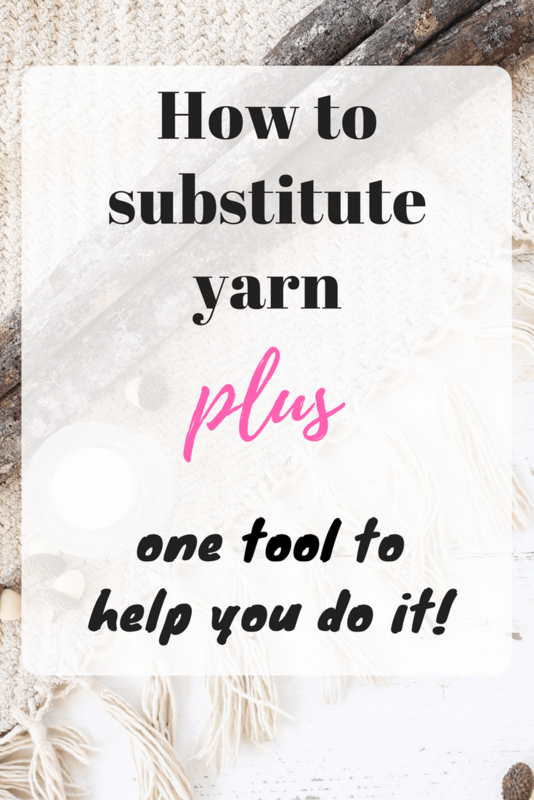 A very honest tool that will give you suggestions about yarn substitutes, and information about the price, gauge, fiber content, and texture of the yarn. All in one place. How cool it that? I know many of you might be asking, why I saved this tool for last and why I even made such a blog post, about something that can easily be done for you. I strongly believe that one must know and understand these things, before proceeding with the purchase. All the information above are valid and should be taken into consideration, under all circumstances, especially when you are a beginner.